Qualcomm has officially announced next-gen Snapdragon 835 flagship processor. The chipmaker has teamed up with Samsung to develop the new chip which is built on 10nm FinFET node that entered mass production in October. 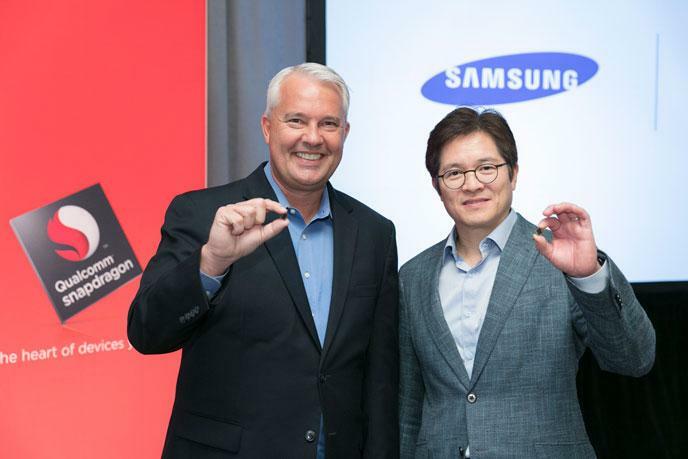 We are excited to continue working together with Samsung in developing products that lead the mobile industry. Using the new 10nm process node is expected to allow our premium tier Snapdragon 835 processor to deliver greater power efficiency and increase performance while also allowing us to add a number of new capabilities that can improve the user experience of tomorrow’s mobile devices. Snapdragon 835 comes with Quick Charge 4, which supports 20 percent faster charging than Qualcomm’s last-gen technology. The latest SoC is in production now and expected to ship in commercial devices in the first half of 2017. Snapdragon 835 follows the Snapdragon 820/21 processor, which has over 200 designs in development.